Gold Dust Glitter Flake HTPLA has a translucent base with no color added, just big ole' gold flecks. You will earn 31 loyalty points with this purchase worth £0.31 that you can use on this order. Do you love the glitter pop of Stardust? Meet Gold Dust! With big flecks for maximum texture, Gold Dust Glitter Flake HTPLA has a translucent base with no color added, just big gold flecks. Print thin and let other colors show through or print thick layers and watch layer lines disappear! Celebrate good times by printing toys, treasures, and keepsakes. If you want to make a print more fun, just add some metallic pop! 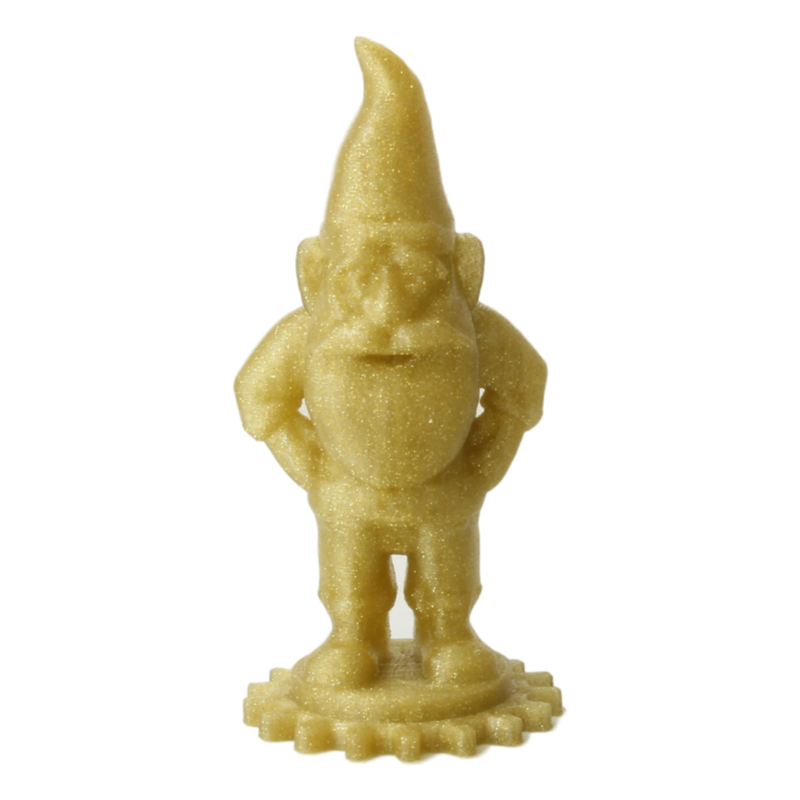 Our metallic finish contains no actual metal and has little risk of clogging or wearing your nozzle, and it won't make a glitter mess, but beware the printing is sure to be addictive! Metallic particles are relatively small but have some orientation effects, giving top/bottom surfaces more shine than sidewall, so have some fun playing with orientation to see how the result changes! We recommend 0.2 mm layers for the best result. In our experience, good results were achieved using standard PLA parameters ranging from 195-225C nozzle with standard build surface preparation (blue tape, glue stick, Lokbuild or PrintBite). No heated bed required but up to 60C is okay. Beware, if the bed temperature is too high, your part base could actually heat treat while printing, increasing warping and decreasing adhesion. Some shrinkage will occur in the heat treating process, so dimension critical parts may need to be scaled appropriately (as much as 2.5% in our experience). 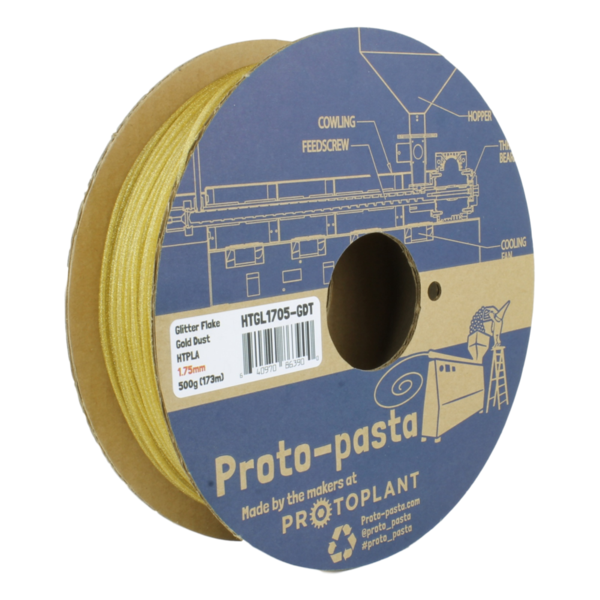 Avoid jams and print reliably with Proto-pasta HTPLA on the Prusa MK3.